Winter got you down? Tired of that same-old, same-old lunch and dinner fare? Has your New Year’s resolution gone south already? Fear not. The folks who make Weight Watchers Smart Ones have introduced Artisan Creations Grilled Flatbreads and Stone-Fired Pizzas to liven up those dreary mealtimes. The flatbreads feature real grill marks and can be prepared in the microwave in just a few minutes. Each flatbread a Weight Watchers Points value of 6, 6-8 grams of fat, and 310 calories or less. Suggested retail price is $3.29. * Chicken Marinara: grilled white meat chicken, fire-roasted bell peppers, onions and reduced fat mozzarella cheese topped with marinara sauce on a flatbread. * Savory Steak and Ranch: flatbread of seasoned steak, fire-roasted green bell peppers, onions, and reduced fat mozzarella cheese with a creamy ranch sauce on a flatbread. 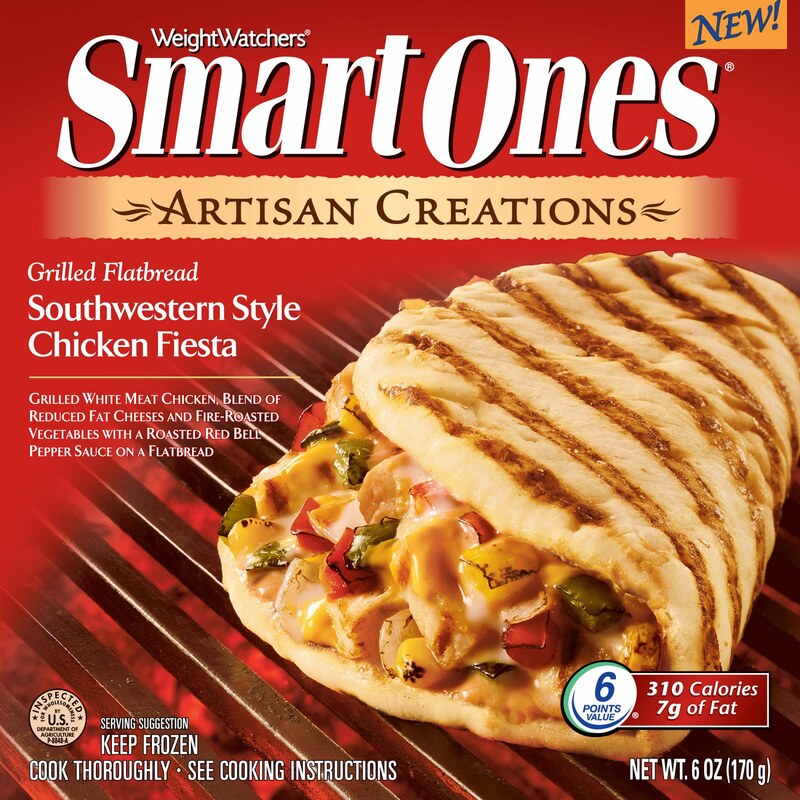 * Southwestern Style Chicken Fiesta: grilled white meat chicken, a blend of reduced fat cheeses and fire-roasted vegetables complemented by a roasted red bell pepper sauce. * Chicken Bruschetta: grilled white meat chicken, tomatoes, roasted red bell peppers and reduced fat mozzarella cheese with a creamy roasted garlic sauce on a flatbread. 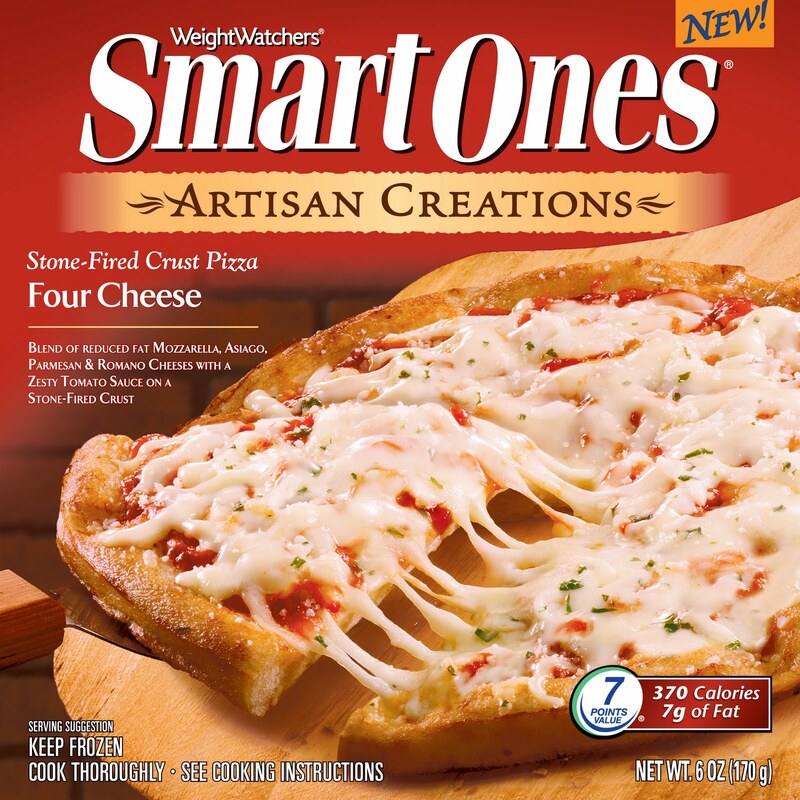 Heinz says Artisan Creations Stone-Fired Pizzas offer the “same taste you get at the local pizzeria with only a fraction of the calories.” The individual-size pizzas are made with extra virgin olive oil and cooked on a granite stone for a light, oven-baked flavor and crunch right out of the microwave.” Each of the three pizza flavors has a Weight Watchers Points value of 7 or 8, and “are better for you than regular pizzeria slices,” says Heinz. * Pepperoni: tangy tomato sauce topped with reduced fat mozzarella cheese on a stone-fired crust. * Four Cheese: a blend of reduced fat mozzarella, Asiago, Parmesan, and Romano cheeses covered in a zesty tomato sauce. * Fajita Chicken: grilled white meat fajita chicken, fire roasted vegetables and poblanos topped with cheese and sauce for a nice kick. Suggested retail price for each pizza slice is $2.22. 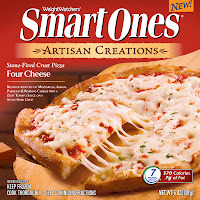 For more information about these and other Smart Ones products made by Heinz, visit www.eatyourbest.com.